Our Shuttle Bus is available Friday and Saturday nights from 6.00pm – 10.30pm for continuous pick-ups and drop offs from the club, within a 5km radius. 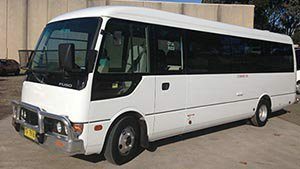 Free pick up to the club and drop offs cost $5.00 per trip.. To arrange a pickup or for all shuttle bus enquiries, please phone 99054849. Also available for Charter and barefoot bowls bookings.